When American gun owners celebrate the tenth anniversary of the landmark Supreme Court Second Amendment ruling in District of Columbia v. Heller next Tuesday, that loud fingernails-on-a-blackboard sound will be coming from the headquarters of gun prohibition lobbying organizations currently using money as a weapon to erase the right of individual citizens to keep and bear arms. This Sunday, according to The Outdoor Wire, Tom Gresham’s Gun Talk radio program (2-5 p.m. EDT/11 a.m.-1 p.m. PDT) will discuss the Heller decision with the attorney who skillfully argued the case: Alan Gura. He is the counselor who also argued the equally-important – and perhaps moreso – case of McDonald v. City of Chicago for the Second Amendment Foundation. That ruling came down two years later, almost to the day, nullifying the Chicago handgun ban and more significantly incorporating the Second Amendment to the states via the 14th Amendment. The Heller ruling was authored by the late Justice Antonin Scalia. He thoroughly demolished the arguments of dissent author, and now-retired, Justice John Paul Stevens. It was Stevens who wrote in March that the Second Amendment should be repealed; an essay so revealing of Stevens’ dislike for the individual right to keep and bear arms that many wonder how he was ever confirmed to the Supreme Court in the first place. Without Heller, the McDonald challenge to Chicago’s handgun ban would have been impossible. Heller and more importantly McDonald that opened the floodgates wide for challenges to restrictive state and local laws over the past eight years by SAF, the National Rifle Association and others. JUSTICE STEVENS places overwhelming reliance upon this Court’s decision in United States v. Miller, 307 U. S. 174 (1939). “[H]undreds of judges,” we are told, “have relied on the view of the amendment we endorsed there,” post, at 2, and “[e]ven if the textual and historical arguments on both sides of the issue were evenly balanced, respect for the well-settled views of all of our predecessors on this Court, and for the rule of law itself . . . would prevent most jurists from endorsing such a dramatic upheaval in the law,” post, at 4. And what is, according to JUSTICE STEVENS, the holding of Miller that demands such obeisance? That the Second Amendment “protects the right to keep and bear arms for certain military purposes, but that it does not curtail the legislature’s power to regulate the nonmilitary use and ownership of weapons.” Post, at 2. However, since the 2010 McDonald ruling, the Supreme Court under Chief Justice John Roberts has avoided further Second Amendment cases. 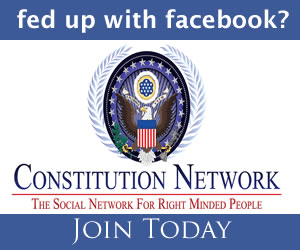 Many in the rights community are suspicious that this is because the court knows it can swing only one way on further expanding gun rights and it would put full tilt on gun laws in states such as New Jersey, Maryland, New York and California, and that could be a disaster for political correctness, if not American politics altogether. Therefore, the reluctance exists. So the battle over guns will continue. Still to be settled are serious questions about carry outside the home in public places (what other constitutionally-delineated right is limited to the confines of someone’s house?) and whether such firearms as modern sporting rifles are protected. Concealed carry is pretty common – more than 16.3 million people are licensed, according to some estimates – and modern sporting rifles are in common use, with somewhere between 10 and 15 million of them in circulation, owned by millions of citizens who have harmed nobody. Today, a decade after Heller, wealthy elitists with billions in the bank have given financial and moral support to the gun prohibition lobby. Efforts to erode if not outright erase the Second Amendment are at a fever pitch. Public initiatives are currently the weapon of choice, the logic apparently being that if they can’t destroy the Second Amendment legislatively, they’ll simply buy it with expensive initiative campaigns. As gun owners observe “Heller-plus-ten,” now is a good time to ask whether the Second Amendment is for sale.